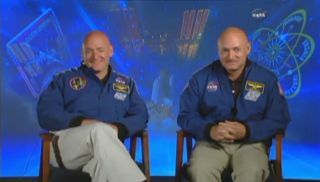 Twin brothers Scott Kelly and Mark Kelly, both NASA astronauts, are set to meet in space next year. Mark will command the last mission of the space shuttle Endeavour, STS-134, while Scott will lead the International Space Station's Expedition 26 mission. Full story.